Essex County Executive Joseph N. DiVincenzo, Jr. announced the opening of electric car charging stations at the third Essex County location on Friday, November 17. 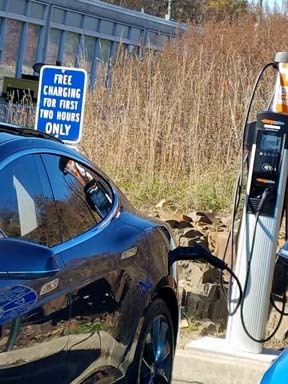 The two charging stations at the Essex County Department of Public Works Building at 900 Bloomfield Avenue in Verona is the third site; stations were installed at the Essex County South Mountain Recreation Complex in West Orange and the Essex County Government Complex in Newark in 2016. • For more details, please Subscribe to our digital edition, or buy the November 22, 2017 paper.